I’m getting very fond of messy supernatural fiction. The days of being politely introduced to the vampires (Always by the punch), the werewolves (Usually bikers) and the zombies (Dance floor. Every time) are long gone. Instead, the supernatural has definitely started mingling with the rest of the party and the lines aren’t so much blurred as gone. The supernatural crime fiction that Paul Cornell and Ben Aaronovitch have produced over the last couple of years are great examples of this, as is the original and still undefeated Hellblazer. 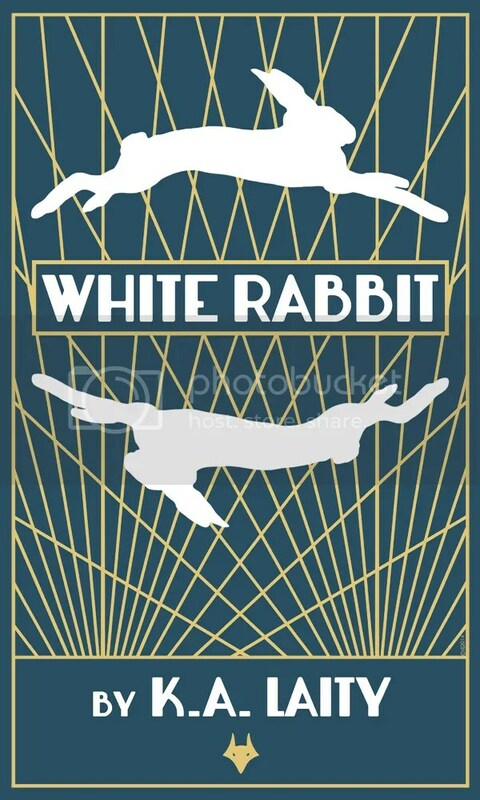 That magnificent, mercurial comic gave the industry some of the best creators of the last few decades and is also woven into the DNA of White Rabbit, by KA Laity. So closely in fact that I like to think John and James Draygo, Laity’s lead character, frequent similar pubs. Draygo’s an ex-police officer and, endearingly, was never more than competent as a cop. It would have been very easy for Laity to have him be a mercurial, Holmesian genius but instead she gives Draygo something much more fun, not to mention harder to deal with; he’s psychic. Actually, legitimately psychic, the latest in a family who can not only see ghosts but can’t turn it off. People have lived in this country for countless centuries and they’ve all died, here and they all want something done before they can move on. James Draygo can see them and hear them all. James Draygo is a drug addict. Draygo is both huge fun and really squalid and Laity never lets either of those things leave our minds. He’s a high functioning drug addict who pretends to be a psychic in order to make a living because using his own gifts hurts too much. He’s a survivor but not much more, until a media mogul’s wife is shot in front of him. She dies. Her ghost sticks around and decides to investigate her own death whether Draygo wants to help or not. It’s a lovely premise, and Draygo and Peaches have a fast, snappy banter to them that’s immense fun to read. Crucially though, it never gets in the way of the fact she’d dead, knows it and desperately wants Draygo’s help. The jokes, and there are lots of them, are really good but fundamentally this is a quiet, intense novel about seeing dead people and what happens when you’re brave enough to listen to them. Laity never lets Draygo off the hook, thanks as much to silent manservant Jinx and Lois Lane-ian client Saunders as anything else. Jinx is an endlessly reassuring but occasionally stern presence while Saunders is the book’s other engine. Intensely principled and utterly unprepared for the truth about Peaches’ death and Draygo’s abilities, Saunders isn’t just a foil she’s the other half of the equation. Draygo has the abilities but none of the confidence, Saunders has the confidence but none of the abilities. They fight crime. Or, on occasion, run away from it. The crime they fight (or run away from) is the sort of scheme John Constantine would glare at, grudgingly admire and then kick to death. It’s an industrial approach to evil that leads to the book’s most affecting moments. In particular, the finale feels truly high stakes and the fragility, and awful luck, of Draygo really heightens the tension. This is supernatural fiction mixed with noir, coffee and incense, whiskey and blood, all swirled together in a novel that’s compact, punchy fun. Life is messy, death is too. But it’s okay. Draygo’s here to help. You are paying though, yeah?